THE STANDARDS IN Public Office (SIPO) Commission is still in talks with the gardaí about its members reviewing their interests and confirming their compliance with the Ethics Acts. The watchdog came in contact with the Garda Commissioner following the controversy over the finances of the Garda College in Templemore. An audit discovered some 50 bank accounts linked to the college, and found many transactions in and out of those accounts, created “a non-transparent system of accounting”. On foot of a report into the matter by the Oireachtas Public Accounts Committee regarding the Garda College, the committee wrote to SIPO regarding its finding that some members of the gardaí failed to understand or meet their obligations under the Ethics in Public Office Acts 1995 and 2001. In its annual report, released this week, the commission said it wrote to the Acting Garda Commissioner Dónall O Cualain outlining his responsibilities as the “relevant authority” to whom some employees in An Garda Síochána furnish statements of interests. SIPO said it was subsequently informed by the gardaí that the employees within the organisation had been asked to review their interests and confirm their compliance with ethics rules under the law. “Correspondence with the organisation is ongoing,” states the SIPO report, which finds that public bodies, including the gardaí, have a duty to oversee compliance with the disclosure of interests. Ethics statements of interest for employees within the gardaí are provided to the Garda Commissioner and not to the commission, noted the report. SIPO said it has not liaised with the gardaí with a view to improving the communications message to members of the gardaí about their obligations under the Ethics Acts. 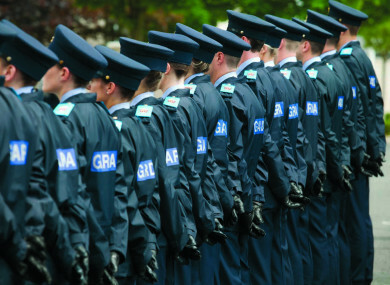 In order to assist public bodies, such as the gardaí, in ensuring workers comply with the rules, in the coming year SIPO said it intends to develop standards of best practice for public bodies in communicating and overseeing the compliance of their employees with obligations under the Ethics Acts. Email “Watchdog still in talks with gardaí over members' compliance with ethics laws”. Feedback on “Watchdog still in talks with gardaí over members' compliance with ethics laws”.